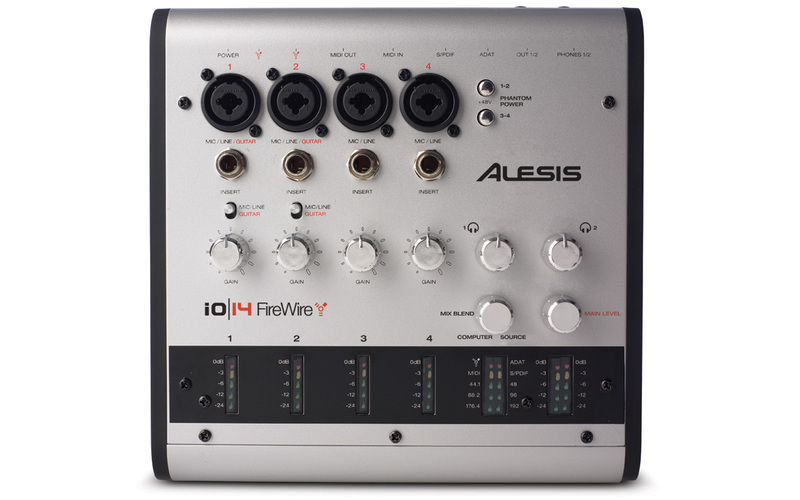 The Alesis iO|14 uses state of the art FireWire technology to deliver professional–level features such as Alesis High Definition Microphone Preamps, Cirrus audiophile converters and jitter elimination technology, with high–quality 24–bit/192k audio input. 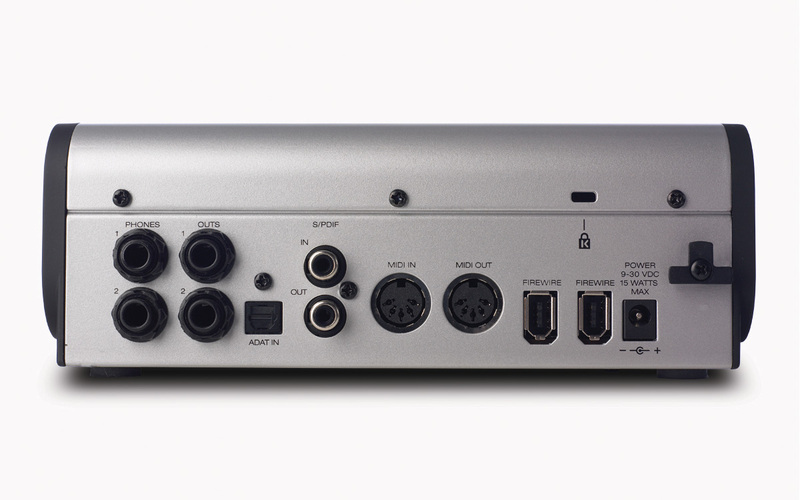 The iO|14 is designed for easy use with PC or Mac, and has 2 headphone outputs, line–level inserts on the mic preamps, 48V phantom power, 5–segment signal/clip meters, and full MIDI and S/PDIF I/O in a convenient, portable tabletop design. 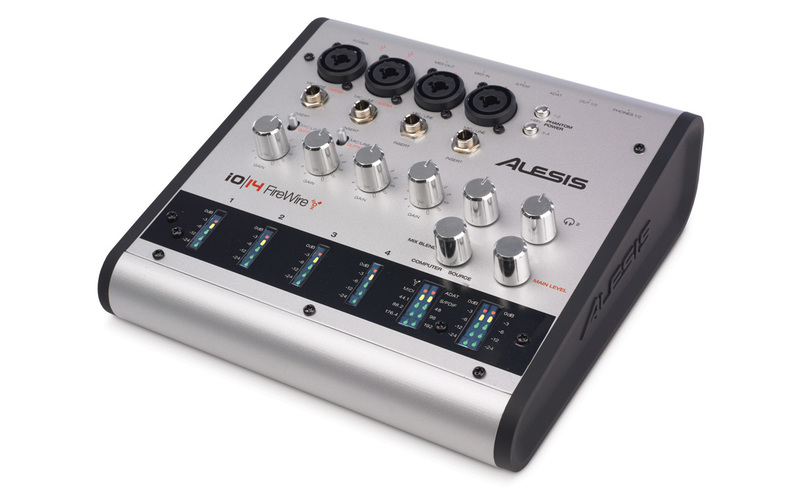 The iO|14 gives you forward–thinking expansion potential, with ADAT lightpipe inputs for additional connectivity, no matter what your recording sessions may demand. Flexible, routable Hardware Direct Monitoring allows you to send a customized, latency–free mix to each output pair. An AC adapter is also included, for those using a FireWire interface that doesn’t supply power. Whether you find yourself on the road or in your own studio, the iO|14 gives you the Alesis performance that professionals have depended on for decades.